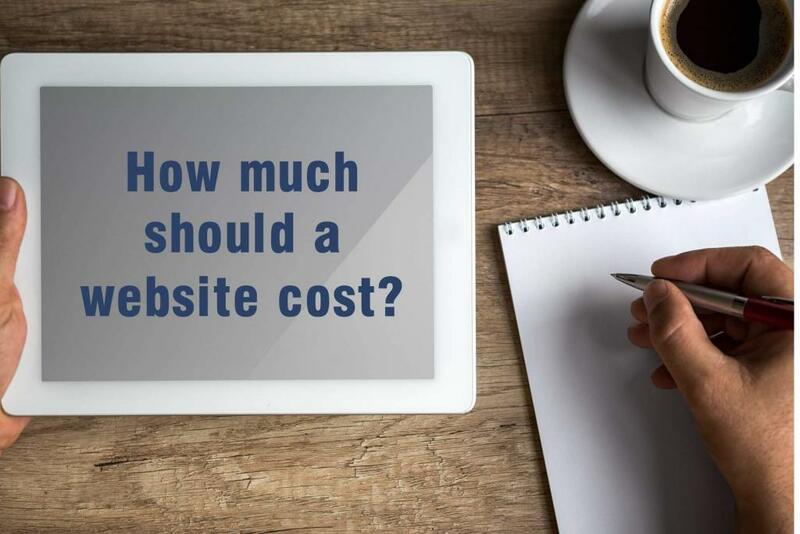 “How much does a website cost?”…this is a question we get asked probably the most in regard to our design and web services, and one that can be answered as simply as ‘you get what you pay for’. There are many aspects to web development, and these are things that you NEED to ask your potential web design partner before considering signing off on their quote, as these aspects can end up costing you more later on. Rather than ask ‘What should I be paying”, ask ‘What will I Get for the Cost’. Firstly, let’s start by clarifying that not all websites are the same, and in the same I mean they may all look similar on the outside but these days the majority of websites are developed with a database-driven CMS (content management system), and each of these systems have pros and cons. Each of these systems is designed to allow the client to manage their own content, which in theory should make it more cost-effective in the long-run. One of the most popular content management platforms is WordPress, which powers around 30% of all websites globally. The WordPress platform itself is free, however there are still development costs associated. Other popular platforms include Wix, which is a free website builder, but is comes with a few cons attached. And then when it comes to e-commerce, many people are turning to Shopify for its ease of use for setting up an online store quickly. My recommendation is to ensure your website is created in WordPress, and this is for a number of reasons. WordPress is one of the most popular platforms, so therefore there are lots of additional functionality tools available for WordPress, and also a lot more Developers available if you require additional service. Wix may be a free system, however it lacks a lot of the functionality WordPress can offer, and Wix has many limitations which can stunt the growth of your website, particularly in the areas of search engine optimisation. Shopify again is an easy platform, but primarily designed for an online store. If your aim is to drive organic traffic Shopify is probably not what you should be working with, and WordPress is capable of a very nice e-commerce website with very powerful SEO if developed correctly. It costs around $79 USD per month but allows you to build your website yourself. But you also want to factor in your time it takes to build the site, populate all the content and products. It may be cheaper to have someone else develop the site for you. So, the cost of your website is a bit like asking why a Ferrari costs more than a Kia. After all, they both have four wheels and and chassis. The difference is it is what’s under the bonnet, how it was crafted and the performance functionality. If you are considering a Wix website or even attempting to develop the website yourself in WordPress, you want to first ask yourself do you have the four factors at your disposal. Do you have the expertise, or know the strategy behind how to make a website rank well? Do you know the functionality and tools to achieve outstanding results for your customers? And most importantly, do you have the time to figure it out and build it? So when planning on developing a website, firstly ask yourself do you want to try and do it yourself, and stumble along to end up with something that not only lacks the functionality for a successful site, will most likely look like you did it yourself, and will probably take months to complete, or do you want to invest in someone to do it correctly and be up and running much sooner? Many web design agencies actually outsource their clients’ sites to India or the Phillipines to save costs. These sub-contractors usually have a relatively good knowledge of web design, however on average get paid $15 an hour, so they will often take shortcuts. These include using non-licenced plugins or themes or possibly outdated versions, don’t really develop to any particular design or seo strategy. See, a good ranking website requires the search engine optimisation strategy to be created in the foundation of the site, and if these subcontractors are paid to ‘just’ build a website, that’s all you get. Your website may be penalised due to the workmanship at the start. But more concerning is that if the site is outsourced and you need to update WordPress or the theme later on, or if something breaks in the site, will they be available 12 months later? Many outsourced web developers move around from one company to another very regularly. While WordPress is a base platform, every web developer creates things a little differently, and it could end up costing much more if anything goes wrong later on. Always insist the website is developed in-house. Does my website include a Maintenance Plan? A website these days is basically an operating system, much like your IOS in your phone or the operating system running on your desktop computer, and as you know, from time to time this operating system requires an update for functionality, security and optimisation. Your website also requires these. So you have three options, you either pay someone to do it for you correctly, you do it yourself and risk breaking your site, or you have a maintenance agreement with the Developer. Most web agencies don’t offer or include a website maintenance agreement as standard, but realistically it should be a requirement to ensure you get a long life from your website. Ask your Developer if they offer one, and how much it will cost. Is the website optimised for the search engines? As crazy as this sounds, the truth is most web developers don’t include search engine optimisation (SEO) as a standard included service, which really is a bit like building a car without an engine. SEO is critical to the success of your site ranking on Google, but many web developers don’t actually understand SEO and it could cost you as much as the website to have it added later. If the Developer can’t provide SEO, walk away, quickly. Is the website developed with a strategy? Every website should be created with a strategy and end goal in mind, which is to drive visitor traffic to your site organically, and to engage the visitor. There are many ‘web developers’ that can build a nice looking site, in fact you’ll find a high school student can probably do this, but for a website that really works for your business it requires a carefully structured strategy before the site is commenced, with that end result in mind. This can be the difference between why your competitor is highly successful online and you’re not, so ask your Developer before starting what their strategy is for you. Web hosting can cost anywhere from a couple of dollars a month to $20 or $30 p/m. Regardless of cost, ensure it offers plenty of space, provides technical support, and is hosted locally for best results. Ideally, your web developer should be able to provide a good plan for under $100 with plenty of space and hosted in Australia. A domain name will cost you around $25 for 2 years registration. Ensure it is registered under your own name, not the web developers, or you don’t own it. If your site is developed in WordPress it requires a theme to give the website its initial look, feel and functionality. Selecting the right theme for your site is very important, and one that should be the part of the strategy before development. The plugins add additional functionality to the site, such as contact forms, search engine optimisation, ecommerce functionality, etc. While many plugins for WordPress are free, there are also some premium plugins which require a licence to use, as do the high quality themes. These are usually a once off fee, however you require the licence to update them for free, so ensure your web developer provides you with this information. There are page builder plugins that allow you to create a website to be much more user friendly for the website owner, but also used correctly these can decrease development time of the website dramatically, keeping the costs down. You can find a 10 page website can be as affordable as a 5 page website if your developer has these skills. The cost of your website will totally depend on the amount of functionality and content it needs to contain, but as a guideline, if a web developer starts talking more than $3000 for a 5 page website with basic Content Management functionality, you’re probably being ripped off, or they pay their workers around $200 an hour, which usually isn’t the case! A good web developer will be able to create a 5 page website well within a day, which makes justifying the $3000+ price tag unrealistic unless they provide SEO or plenty of ongoing support as part of the web design package. Once again, base the website on a cost-per-day basis to build a website and a 10 page website can usually be completed within 2 business days, so if you see web developers trying to charge anything over $4000 they are probably robbing you, unless they can justify the cost of high-end stock images or professional content writing. Make sure you always have a breakdown of the quote so you know exactly what you are paying for. E-commerce websites are a little more involved than the standard WordPress website, however much easier to build now than they used to be. If you’re starting out with an e-commerce website and only have a few products, be wary of any web agency or studio trying to charge more than $6000. An average e-commerce website including SEO and initial population of some of your products, plus training on how to use the site should cost between $3300 and $5000, depending on the functionality. So while there is no exact amount as to how much your website should cost, these will hopefully help you understand what you should be paying for, rather than looking for the cheapest option, or paying too much for a service you’re not provided. At Smartfish we like to keep it as transparent as possible, and now offer packages, with prices so you can see exactly what you’re getting with your web development service, and the extras you might need, to avoid any pitfalls later on. For further information on our web development services please contact us and we’ll be happy to answer all your questions. Request a Quote for your website! Need a quote on your website? Request a free quote….